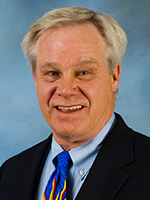 Jim Amorin, MAI, SRA, AI-GRS, of Austin, Texas, is the 2017 president of the Appraisal Institute. He will serve as immediate past president in 2018. He serves this year as chair of the organization’s Executive Committee and chairs its policy-setting Board of Directors. 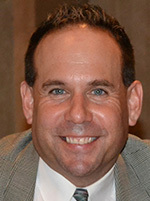 Amorin served on the AI Executive Committee, National Nominating Committee, Finance Committee, Audit Committee, AI Relief Foundation Board of Directors, General Appraiser Council Admissions Committee and Qualifying Education Committee and as chair of the Strategic Planning Committee, in addition to region and chapter roles. 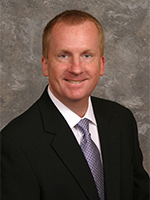 He was the 2009 Appraisal Institute president, and also has served as national president-elect, vice president and immediate past president. A graduate of the University of Texas at Austin with degrees in finance and real estate & urban land development, he received an MAI designation in 1992, an SRA designation in 2003 and an AI-GRS designation in 2014. He also has received a SR/WA designation from the International Right of Way Association. 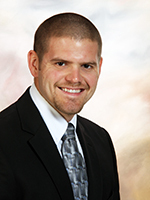 Will Anderson is an account manager and field services technician at ICF. Based in Atlanta, he currently works on the Georgia Power energy rebate portfolio. Will performs QA/QC, provides mentoring, and maintains positive relationships with program participating contractors throughout the state of Georgia. 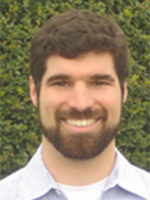 Will is a RESNET HERS Rater, and a Building Performance Institute (BPI) Building Analyst Proctor. Prior to his work with ICF, Will performed home energy assessments in the greater Boston area as a contractor in the Mass Save Program. 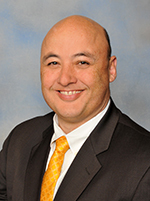 Mr. Bachand is the Chief Executive Officer of CalCERTS, Inc. He holds overall responsibility for all projects and programs initiated through the firm. He attended Cal Tech and California State University at Sacramento, graduating with a Bachelor of Science in Mathematics and a minor in Physics and Statistics. Mr. Bachand works directly with the California Energy Commission (CEC) on Title 24 and Title 20 regulations pertaining to the HERS industry. 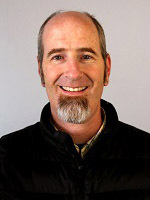 After 25 years as a Green builder, designer, and contractor, Tom was technical lead for with Conservation Services Group in Seattle from 2004 to 2015. He was actively involved in starting up the ENERGY STAR New Homes Program, training auditors and contractors and developing specifications for weatherization and green building programs. 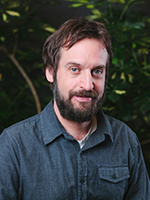 Tom has been a board member of both the NW Ecobuilding Guild and Built Green, and developed the Guild’s “Technical Flash Cards” project, a training resource for green builders and crews. Balderston Associates has been an active green building consultancy since 2009, providing LEED for Homes, Built Green, Passive House, and ENERGY STAR certifications as well as energy modeling, field testing and training. Tom is very active in the multifamily and town home markets. He has been training and testing on air sealing, ventilation, and compartmentalization issues for many years. He is committed to finding practical and innovative solutions to retrofit, design and new construction that bring low energy buildings and net zero homes to a wide market share. 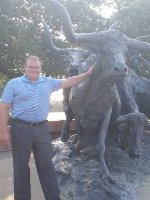 Luke Bertram is an account manager and field services technician at ICF. He currently works on the Georgia Power portfolio as well as Mississippi’s 4 County Extreme Home Energy Make Over program. After graduating from Georgia College and State University with a B.S. 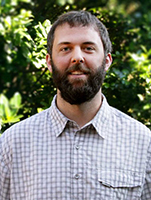 in Environmental Science, Luke began his home performance career in Flagstaff, Arizona. He received his first BPI certification in Phoenix while working with Coconino Rural Environment Corps. (CREC). Luke led a crew of AmeriCorps volunteers that were focused on bringing energy efficiency to low income homes in Coconino County, AZ. He then returned to Atlanta and began to serve the Georgia market through low income assessments and third party verification. Luke has completed a wide variety of third party assessments and inspections including multifamily inspections, large building air barrier testing, BPI assessments and HERS Ratings. 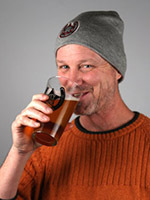 He currently holds his BPI BA, Quality Control Inspector and has been a certified HERS Rater since 2011. 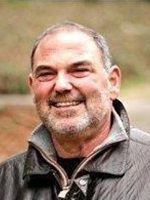 Rick entered the construction industry as an apprentice carpenter in 1971 while he was earning his degrees in Environmental Conservation and Environmental planning. In 1980 he opened a successful residential construction company that he ran for 33 years building high performance homes, remodels and weatherization retrofits. During that time he was certified as an Energy Star Verifier, HERS Rater, BPI Building Analyst, Built Green Verifier and PTCS certified pressure tester. 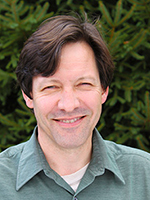 In 2010 Rick was employed as the Lead Energy and Technical Advisor for Conservation Services Group providing weatherization, audits and services for the Repower Energy Challenge sponsored by the Better Buildings Program in Kitsap County Washington. In 2013 he was employed by Knauf Insulation as a Building Performance Specialist providing technical knowledge and research to builders, contractors and the Knauf sales team. Currently, he is the Training and Certification Manager for Knauf. 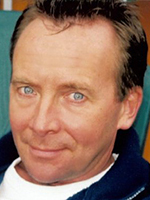 John Broniek has been involved in improving the energy efficiency and durability of buildings throughout North America since 1990. 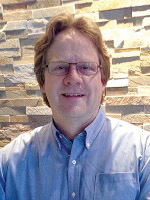 He has worked as Technical Coordinator for R-2000 Energy Efficiency Home Program technical activities throughout Canada and as a senior building performance specialist for a leading U.S. building science firm acting as lead technical resource for Building America initiatives and senior engineer for private client work. Currently he is Senior Engineer for Icynene Corp. where he provides product use recommendations to all external audiences including designers, applicators and building owners. In addition, he acts as a building science technical resource to Icynene’s sales team, dealers and community. 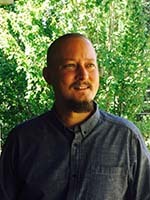 Thiel graduated from Prescott College with BA in Environmental Studies and a concentration in Ecological Design and is currently pursuing an MBA at Hood College. She actively serves on RESNET’s Multifamily sub-committee, participating in the Sampling and Performance Testing task groups. Allison Bygott, P.E., L.C., LEED AP has over 12 years of experience in the building energy field, with a specialty in lighting systems. She leads Group14’s lighting commissioning efforts and has reviewed and commissioned dozens of multifamily projects and other commercial buildings. She also works with teams during design to optimize lighting system energy performance and functionality. 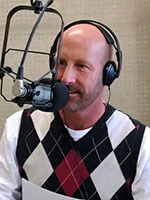 Glenn is directly responsible for all aspects of IBACOS’ work with homebuilders. This work includes the development and delivery of construction Best Practices® knowledge tools, content, and technical consulting services to leading homebuilders nationwide. The PERFORM® program, as it is named, increases a builder’s bottom line by improving the builder’s quality and performance. Glenn helped lead the ground-up development and expansion of BuildIQ®, the building industry’s first online education system for production homebuilders, and has spoken at many industry conferences on the subject of adult learning. In 2014, he began a journey into quantifying the true cost builders pay for quality—both investments made to ensure good quality as well as the price paid due to poor quality. His unique insight and perspective have opened opportunities with many of the nation’s largest production homebuilders. Shawna has spent the last seven years in the energy sector, where she has focused on energy efficiency, renewable energy, and energy security topics. 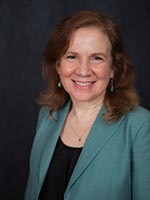 On these subjects, she has provided research and analysis to policy development and implementation to education and outreach for academics, all levels of government, non-profits, the private sector, utilities, and the military. 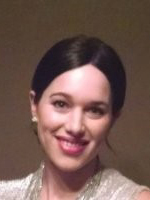 She has extensive experience managing projects, contracts, and senior to junior staff. 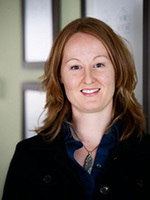 Prior to joining the Utah Governor’s Office of Energy Development as the Managing Director for Energy Efficiency, Education, Renewables, and Alternative Transportation, Shawna worked for the U.S. Navy as a research analyst, the Yale Center for Environmental Law & Policy Global Environmental Governance Project, and the Woodrow Wilson International Center for Scholars in Washington D.C. She holds a Bachelor’s in Political Science from the University of California, Santa Barbara and a Master’s in Public Policy with an emphasis in Environmental Regulation and Policy from Georgetown University. 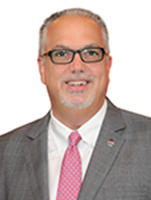 Wes Davis serves as the Vice President of the ACCA Quality Assured Programs supervising contractor accreditation efforts, recognizing quality contractors and HVAC system quality installations. Wes serves on technical committees for the American Society of Heating and Refrigeration and Air Conditioning Engineers. He has over 20 years’ experience in the HVAC industry. 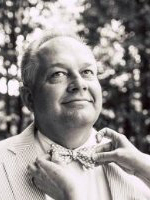 He was a licensed HVAC contractor in South Carolina, wrote Bob’s House, serves on RESNET’s Standards Management Board, and has helped develop several ANSI-recognized standards. 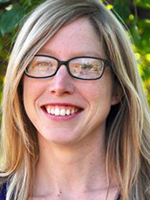 Stephanie earned her BA at CalState San Marcos in 2009 and has worked with RESNET since 2010. 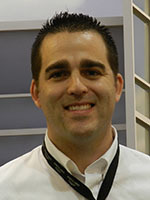 Mr. Doria is Vice President, Marketing and Communications for the North American Insulation Manufacturers Association. In this capacity, Mr. Doria develops the implements the marketing and communications strategies to support fiberglass, rock and slag wool insulation products for NAIMA’s core audiences of residential and commercial builders, specifiers of institutional and industrial processes, engineers, architects and consumers. Prior to joining NAIMA, Mr. Doria spent four years as Manager of Stakeholder Engagement for Ingersoll Rand’s Center for Energy Efficiency and Sustainability, working to support public policy on issues related to building codes, energy efficiency and standards. He is also the former Government Relations Manager of the Air-Conditioning, Heating and Refrigeration Institute. Rick brings more than 20 years of experience in technical marketing, building science, and product development and product management to deliver new materials and applications to the construction market. Drawing from previous experience as an engineering professor at Bucknell University, Rick simplifies complex building envelope issues and clearly describes solutions for wide-ranging audiences including design professionals, code officials, builders, contractor and building owners. As technical director for SPFA, he oversees the SPFA’s Building Envelope, Roofing and Safety Committees which develop technical documents for the SPF industry. 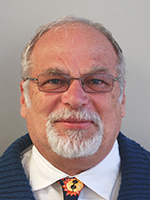 His role as technical consultant for the Spray Foam Coalition includes advising their Research and Codes and Standards workgroups, and managing a portfolio of research projects. He holds a Ph.D. in Engineering Science and Mechanics from The Pennsylvania State University, MSME from Bucknell University and a BSME from the University of Maryland. 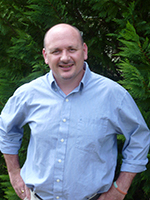 Rick is a Registered Professional Engineer in Pennsylvania and is a certified BPI Building Analyst. 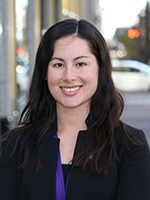 Amy Dzura is currently SEEA’s Energy Code Program Associate and has held this role since 2014. She engages with all of SEEA’s 11 states to provide technical assistance and support to foster increased coordination between involved parties regarding their state energy code adoption, implementation and compliance practices. 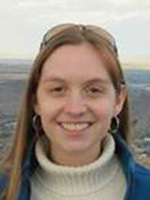 Prior to joining SEEA, Amy served in the AmeriCorps program and worked at Advanced Energy. She has a Master’s of Architectural Studies degree from the University of Florida, as well as a Bachelor’s of Arts in Political Science from the University of Pittsburgh, as well as being a LEED GA and a HERS rater. 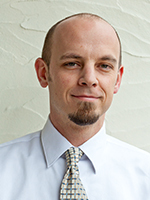 Justin G. Erickson is the co-owner and President of E3 Energy LLC, a building science company in Flagstaff, Arizona. E3 Energy is a leader in the high performance building industry in the Southwest, providing consultation, testing and certification to contractors to increase the efficiency, healthfulness and safety of homes. E3 Energy LLC is a provider and rater for the DOE Zero Energy Ready Homes Program, HERS, EPA Energy Star program, EPA airPLUS program, and a Green Rater for LEED for Homes program. E3 Energy also works with the cutting edge builders and building scientists in the industry, designing and testing building techniques for the 21st century. E3 Energy builders have received national recognition and awards. 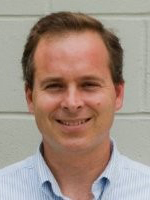 Geoff Ferrell is Chief Technology Officer at Mandalay Homes. Headquartered in Prescott Arizona, Mandalay Homes is the nation’s largest builder of Department of Energy, Zero Energy Ready Homes. 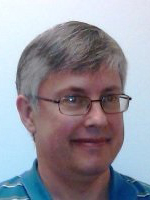 As CTO, Geoff Ferrell develops and maintains specifications for all home certification programs. In addition, heads the evaluation and testing programs for all new technologies and processes Mandalay incorporates into their homes. As a national leader in Energy efficient, Healthy, Durable, homes; Mandalay Homes is constantly evaluating new emerging products to improve our homes and deliver them at a competitive price point with other builders. Geoff’s primary focus is researching and evaluating trends, technology, and processes to bring them to the production building market in a cost effective and customer beneficial way. Michelle Desiderio works with builders, architects, remodelers, and other housing professionals to remove barriers to innovation by leveraging Home Innovation’s unparalleled knowledge and experience in market analysis and building science research. Michelle oversees NGBS Green, the certification program based on the National Green Building Standard. The program certifies new and remodeled residential buildings and communities of all sizes and has transformed the market for green certified homes. Michelle’s work has focused on market-based solutions that solve environmental issues without compromising housing affordability. Michelle developed Fannie Mae’s Smart Commute Mortgage, revamped the Energy Efficient Mortgage, and developed a methodology to calculate the carbon reduction from efficient homes so that they could be sold on the emerging greenhouse gas market. 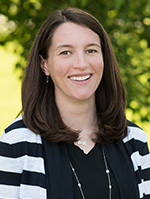 Michelle has a Masters in Urban Planning and Environmental Studies from the University of Virginia and a BS in Environmental Studies from SUNY College of Environmental Science and Forestry. Jon Girod is the owner and builder at Vancouver Washington-based QUAIL HOMES where he's proudly manned the helm for over 20 years. Quail's custom homes are independently third party certified to be highly efficient; utilizing all the latest technology focusing on energy efficiency, indoor air quality, water conservation methods, and the procurement of locally sourced eco-friendly building materials. The home building methods and business philosophy at Quail Homes has earned them numerous awards including Green Builder of The Year and Healthiest Companies of Southwest Washington. Quail continues to build their high performing custom homes in Southwest Washington and the Greater Portland Oregon Metropolitan area. 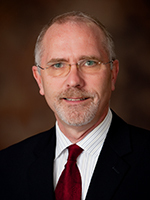 Frederick H. Grubbe, CAE, MBA, has served as chief executive officer of the Appraisal Institute since June 1, 2007. 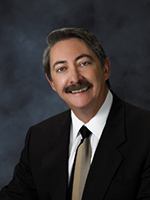 He has more than 30 years of management experience in nonprofit and government-related organizations. From 2001-06, he served as president and chief executive officer of the National Fraternal Congress of America (now the American Fraternal Alliance), an association for fraternal benefit societies, where he was responsible for overseeing business and membership operations. 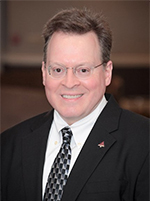 Previously, Grubbe served as chief operating officer for the Education Resource Group, an international management training company that trains agency managers in the life insurance and financial services industries. He also was CEO of the THINK FIRST Foundation, an international organization dedicated to preventing and creating awareness about brain and spinal cord injuries. 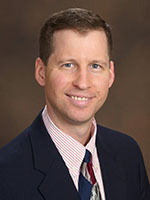 From 1993-96, Grubbe served as director of strategic planning and special programs for the Million Dollar Round Table. 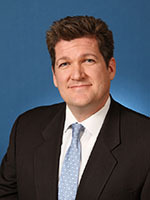 And from 1989-93, he served in the administration of President George H. W. Bush, with presidential appointments as deputy director of the U.S. Office of Consumer Affairs and deputy administrator of the National Highway Traffic Safety Administration, both of which followed two years as the U. S. Department of Transportation’s White House Liaison and special assistant to the Secretary of Transportation in Washington, DC. 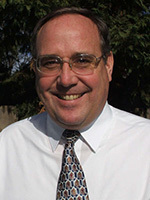 Grubbe received an MBA from the Loyola University Chicago Quinlan School of Business and holds an undergraduate degree in journalism from Northern Illinois University. He also successfully completed the advanced strategy program, Building and Implementing Growth Strategies, at the University of Chicago Booth School of Business. 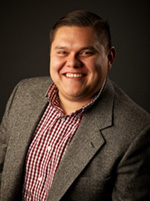 He served as 2014-15 chair of the Board of Directors of the Association Forum of Chicagoland and also served as immediate past chair (2015-16), vice chair (2013-14) and secretary-treasurer 2012-13). 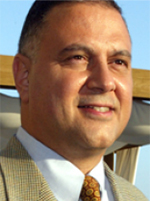 He was a member of the Forum Board of Directors 2009-12. He is a member of the American Society of Association Executives. In his spare time, Grubbe is a professional jazz musician and has performed with jazz greats Louis Bellson and Dizzy Gillespie, among others. 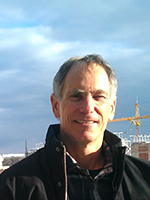 Lucas is a Physicist w/ 30 years of experience in construction and construction products manufacturing. 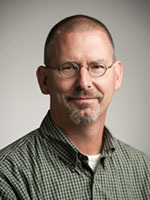 His expertise includes forensic building envelope diagnostics and testing having participated in the investigation, evaluation and repair of thousands of buildings of all construction types, development of non-intrusive construction analysis equipment and techniques, research and development of construction materials, and he is a practitioner of a variety of building performance simulation software. He holds patents for moisture detection electronics as well as innovative adaptive building materials. For the past ten+ years Lucas has been providing advanced technical sustainability and building science support to designers, builders, contractors, and owners as a service of Saint-Gobain and its construction materials manufacturing business CertainTeed. 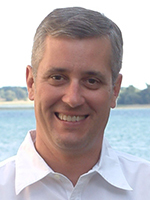 Peter Harding is the President and Founder of Home Energy Technologies and is a RESNET-certified Quality Assurance Designee and Green Rater. 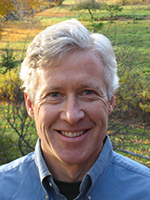 He is a Certified Passive House Consultant and is also a past-President of the Northeast HERS Alliance, the professional organization serving HERS Providers, Raters and others involved in home energy ratings in the northeast USA. Prior to founding Home Energy Technologies Peter consulted to leading consumer goods companies on strategies to accelerate their supply chains..
Home Energy Technologies is a RESNET-accredited Home Energy Rating Systems (HERS) Provider based in Connecticut offering residential energy certification and consulting services to developers, builders and homeowners. Certification programs include ENERGY STAR Certified Homes, the DOE Zero Energy Ready Home, the National Green Building Standard and Federal Energy Efficient Home Tax Credits. 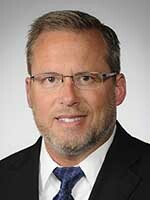 Jeff has been with Lockton since 1993. Jeff is a seasoned Program Executive responsible for maintaining client relationships and coordinating program services for his clients. He is committed to providing the best service in the industry to his clients. He works with a diverse group of clients consisting of both for-profit and not-for-profit organizations including National Rifle Association, Dickey’s Barbecue, FASTSIGNS, Home Advisors and Forest Landowners Association. 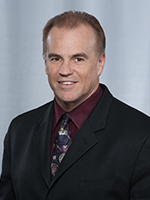 His vast experience in the insurance industry enables him to effectively assist his clients in managing comprehensive insurance programs designed to meet their specific needs. 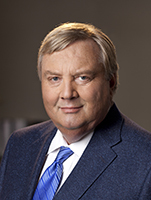 Michael Hobbs, MAI, SRA, LEED GA, is President of PahRoo Appraisal & Consultancy, a multidisciplinary real estate appraisal and consulting firm. Two decades ago, an architect introduced Michael to the field of sustainable materials, energy-efficient design and high-performance construction and since that time he has focused on advancing market awareness of “green appraisals” and quantifying the impact of healthier home environments. Michael works with municipalities, utility companies, Realtors®, developers, builders, architects and homeowner advocates to create and implement practical regulatory policies while accelerating the adoption of high-performance real estate construction based on real-time market analysis, recognition of tangible owner benefits, and fundamental science. His real estate appraisal focus is on green, energy efficient, and net-zero residential and commercial properties nationally having appraised ENERGY STAR, Passive House, Net-Zero and high-performance properties. 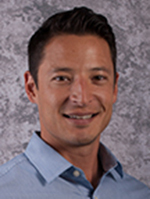 Michael is a sought-after public speaker who is currently working with several RESNET rating firms to construct a national ‘green’ housing index to amplify consumer awareness and speed adoption of high-performance and energy-efficient homes through national media publication. 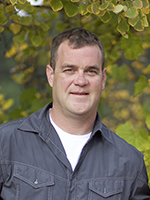 Rob has over fifteen years of experience in the performance construction industry. He is the former Director of Construction at Habitat for Humanity of Catawba Valley where he built ENERGY STAR homes through Advanced Energy’s SystemVision program. 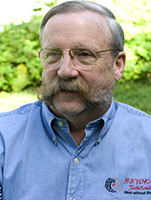 He built the first Net-Zero Energy Home in North Carolina in partnership with Appalachian State University in 2005. He also built the first DOE Zero Energy Ready Home in North Carolina in 2016. 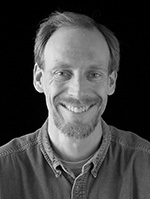 Roger serves as an Energy Analyst with the Oregon Department of Energy, primarily operating in the residential sector. 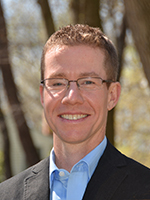 Roger has an extensive background in both public and private sector energy efficiency, and specializes in policy and program design and implementation. With ODOE, Roger is the lead for Oregon’s Home Energy Scoring Program, which involves continuous engagement with stakeholders to develop a strategy to deliver effective home energy scoring to consumers. 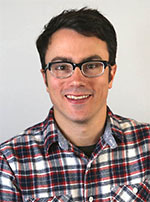 Roger is also a Program Manager for Oregon’s Appliance Standards, analyst for Oregon’s building energy code, and provides technical resources to inform Oregon’s Residential Energy Tax Credit Program. 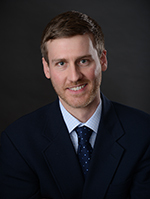 Roger has a Bachelor of Science in Business Management, as well as an associate’s degree in Applied Science in Finance and Real Estate. 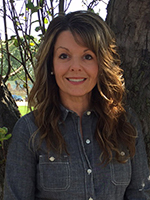 Nikki Krueger is the Industry Manager for Therma-Stor’s residential moisture control products lines, including Ultra-Aire whole house ventilating dehumidifiers, Santa Fe freestanding dehumidifiers and CrawlGuard encapsulation products. Involved in the indoor air quality industry for over 15 years and has worked with several organizations including: ACCA, the NAHB Research Center for Green Approved Products, Florida Green Building Coalition, Green Build, Earth Advantage, La House Home Research Center, and EarthCraft. She is a RESNET certified home energy rater, has completed the comprehensive training for the green home verifier accreditation administered by the NAHB Research Center, and the professional development training course on ASHRAE 62.2 Standard. 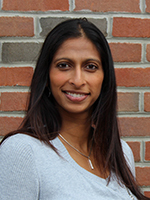 She is an active member of the Spray Polyurethane Foam Association, currently serving as vice chair of the building envelope committee, as well as on the certification and safety committees. 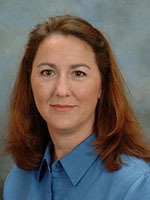 Tei Kucharski joined the staff of the Florida Solar Energy Center as the program coordinator for the Florida Energy Gauge Office in March of 1998. 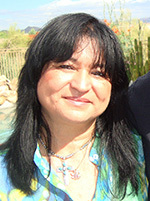 Her tasks include marketing Energy Gauge® software to consumers, builders, real estate professionals and mechanical systems professionals, the training of new raters, educating diversified groups about the rating system and maintaining the ratings database. In addition, she has also conducted workshops and performed technical support for the now defunct Department of Community Affairs in Florida dealing with both residential and commercial energy code to building officials, HVAC contractors, and builders. Ms. Kucharski has more than 37 years’ experience in preparing residential and commercial energy calculations and load calculations for builders. She is a Certified HERS Rater, RESNET Qualified QA, RESNET Qualified Trainer, Certified Florida Commercial Energy Rater and a certified residential building contractor, inactive. Over the past years at FSEC she has provided numerous trainings to utilities and other groups. She has served on the RESNET Training and Education Committee and now serves on the RESNET Certification Testing Advisory Committee. 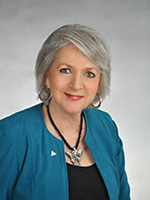 In addition in the past, she served as a member of the Board of Directors of the Florida Housing Coalition, a non-profit affordable housing advocate for 10 years. 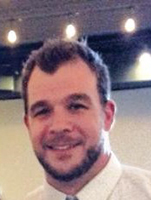 Preston has worked for over 6 years in the efficiency sector as a HERS Rater, BPI Tech, LEED Green Rater and now serves as Director of Sales with Performance Insulation & Energy Services. 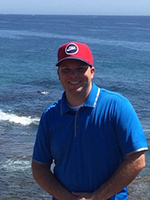 Preston’s experience in sales, Rating/Verification, HVAC design have helped him to develop and support exciting new packages for Performance Insulation, helping to make Performance one of the top contractor service companies in Oregon in both New Construction and existing homes. 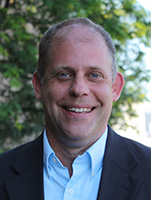 Jonathan Lang serves as a technical expert for Knauf Insulation, specializing in building assemblies, energy efficiency planning, and climate zones. 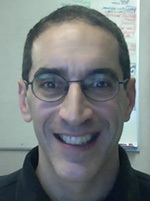 He’s a talented technical communicator and trainer, with strong expertise in the building-as-a-system concept. He began in the Industry in 2009 earning an Associate of Applied Science from Cincinnati State in Renewable Energy and Energy Efficiency. In 2015 he was chosen as the Commencement speaker for Cincinnati State’s 2015 graduation ceremony. He is certified with the Building Performance Institute as a Building Analyst / Envelope Professional/ BPI Rater/ DOE Qualified Assessor. He is a staunch supporter of the “Green Collar Workforce” and has performed Over 500 comprehensive Home Energy Assessments. 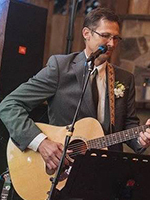 Les Lazareck, CEM is a building performance expert focused on maximizing the comfort, health, safety, energy efficiency and durability of both commercial and residential buildings through his company Home Energy Connection, LLC founded in 2006. Prior to becoming a Certified Energy Manager (CEM), Les established Nevada’s Home Performance with ENERGY STAR program in 2009, HomeFree Nevada/EnergyFit Nevada. He is a licensed Nevada Energy Auditor and approved trainer by the Nevada Real Estate Division; Certified Residential Energy Services Network (RESNET) Home Energy Rater (HERS), Rater Trainer and Quality Assurance Designee; Building Performance Institute (BPI) Building Analyst, Envelope, Air Conditioning & Heat Pump Professional, Energy Auditor, Quality Control Inspector, Trainer and Proctor. 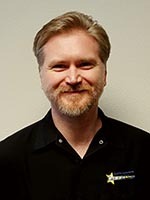 He is a member of the Nevada Energy Code Collaborative, Association of Energy Engineers, Solar NV, the Southern Nevada chapter of the American Solar Energy Society and a former member of the Governors Workforce Development Board. 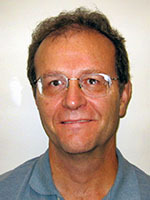 Les earned his bachelor degree in mechanical engineering from the University of California, Santa Barbara focusing on alternative energy design. He volunteered his expertise with UNLV’s Solar Decathlon design teams (2013 and 2017) and their 2015 Race to Zero design. Mr. Lazareck lives in a net zero electric home and is committed to ensuring building owners get the performance their building was designed. 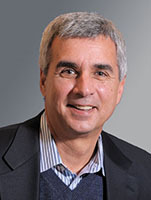 John Libonati has served in Washington, DC as Vice President of Government and Public Affairs for Owens Corning since 1999. His broad Federal policy work has included tax, trade and energy policy with focus on energy efficiency in residential and commercial buildings. Prior to his tenure with Owens Corning he completed a distinguished 22 year career in the United States Secret Service. His career included selection to the Presidential Protection detail from 1981 through 1985 and as the Agency’s liaison to the CIA, NSA and FBI. He was later selected for a Senate legislative fellowship, serving as staff on both the Senate Appropriations and Senate Judiciary Committees. He was selected to the Director’s staff as the agency’s Director of Congressional Affairs where he served until his 1999 retirement. 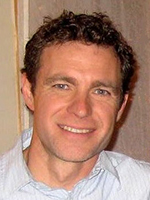 A strong proponent of voluntarism, John has served on the non-profit Boards of Director, the National Center for Missing and Exploited Children and the National Center for Victims of Crime and currently serves on the Board of non-profit Washington DC-based middle school, The Washington Jesuit Academy. He is currently an active volunteer for Canine Companions for Independence which provides highly trained service dogs for people with disabilities. A graduate of St. John’s University in New York City with a BA in Government and Politics, he resides in Northern Virginia. 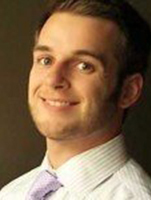 Justin Mackovyak is an energy efficiency consultant with ICF. With a specialized background in residential construction, he is currently supporting a number of utility-based demand side management programs including ENERGY STAR Certified New Homes and Smart Thermostats. Additionally, Justin is the QA/QC lead for the Eastern region and oversees the quality assurance efforts for all programs implemented by ICF. 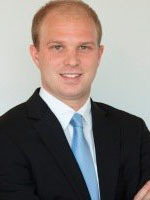 Prior to ICF, Justin worked for several award-winning construction firms in roles ranging from project management to estimating and executive management. Focusing on high-end custom homes, his projects often included the latest building science and energy efficiency techniques. 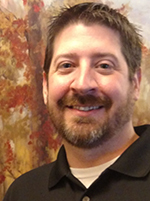 Justin is a RESNET HERS Rater, Energy Smart Contractor, Building Performance Institute (BPI) Certified Building Analyst, Envelope Specialist, and licensed home improvement contractor. In his free time he can usually be found outdoors with his wife, son, and Labrador retriever. 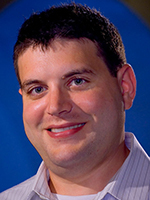 Jeff Myron is a software/systems engineer with the EnergyGauge USA and Summit software products. EnergyGauge USA is a RESNET accredited software tool used in residential energy modeling, HERS ratings, ENERGY STAR, DOE Zero Energy Ready Homes, IECC, Manual J, improvement analysis and federal tax credit. EnergyGauge Summit software is used in commercial building modeling. Both software tools utilize the detailed hourly simulation in the DOE2 engine. He is the Software Planning and Test Director with the EnergyGauge residential building rating software products. 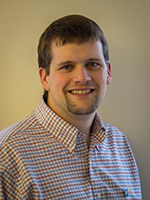 He is also the Director of the online EnergyGauge QA Automation System for HERS providers and raters. This high productivity system offers 24 hour access to automated error checking of ratings, automated upload to RESNET and automated report generation in minutes. 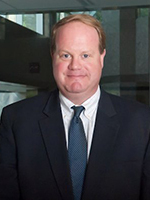 Frank O’Brien-Bernini is vice president and chief sustainability officer of Owens Corning, a world leader in insulation, roofing and fiberglass composites. His role encompasses global accountability for Owens Corning’s sustainability strategy development and implementation, including: operations sustainability/environmental, health and safety (EH&S); product and supply chain sustainability; building science; corporate medical/wellness; product stewardship and toxicology; and the company’s science and technology center in Granville, Ohio. 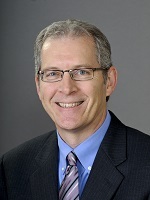 In more than 30 years with Owens Corning, he has held various leadership positions, including chief R&D officer. Prior to joining Owens Corning, O’Brien-Bernini ran a solar design/build firm. 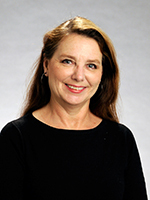 O’Brien-Bernini is a frequent speaker on topics related to sustainability and has addressed multiple conferences, has been quoted in many industry reports and publications, and currently serves on several boards. He is an alumnus of one of the nation’s first interdisciplinary sustainability programs – Center for Resourceful Living – at North Adams State College (now Massachusetts College of Liberal Arts). He went on to earn both a bachelor’s degree in science and a master’s degree in mechanical engineering from the University of Massachusetts, where his research focus was solar energy. Professional Experience – Recently oversaw the development of the Missouri Comprehensive State Energy Plan. Over the last six years has focused on improving energy efficiency related to residential, manufacturing and agricultural sectors in the State of Missouri. During that time was instrumental in the development and oversight of over 150 successful energy efficiency projects across the state. With over 30 years of project management experience, has made presentations to many segments of the Missouri economy on energy efficiency and Missouri’s program development that would result in significant long-lasting impact on those segments. Prior to coming to the Division of Energy, was Operations Manager for a manufacturing facility leading over 200 employees in day to day operation of the facility. During that time was responsible for all segments of plant operation including planning, P&L, purchasing, manufacturing, processing, continuous improvement, warehousing and shipment of products, and plant safety. Has a demonstrated record of cost reduction in all phases of manufacturing including production development and process improvement strategies. Received a Bachelor of Science degree in Biochemistry from the University of Missouri, Columbia. Additional coursework has included Profiles in High Performance, Measurement Quality, Statistical Management Systems, Managing for Continuous Improvement, Managing by Objectives, and Team Facilitation. Paul H. Raymer has been working with building science for more than forty years, and he has developed and brought to market more than twenty products. He has taught building science courses to diverse audiences from home inspectors and weatherization specialists to architects and engineers. 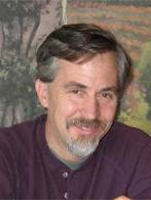 He is the author of the Residential Ventilation Handbook (McGraw-Hill, 2010), Recalculating Truth (a novel) (Salty Air Publishing, 2014), Residential QCI Handbook (Salty Air Publishing, 2015) and has published articles in “Northeast Sun”, “Smart Home Owner”, and “Home Energy”. He was a member of the LEED EA Technical Advisory Subcommittee, BPI’s Standards Technical Committee, and is Subcommittee Chair for Heating, Cooling, and Ventilation of the NREL SWS. He is BPI Envelope, Building Analyst, Heating Professional, AC/Heat Pump, and Healthy Home Evaluator certified and a certified HERS Rater. 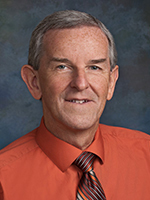 He is an IREC and an IREC/ANSI assessor, IREC Certified Master Trainer and he is a full member of ASHRAE (a voting member and secretary of the 62.2 SSPC), a former board member of the Home Ventilating Institute (Chair of the IAQ Committee), and the Society of Building Science Educators (SBSE). 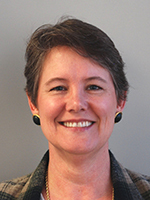 Susan Reilly, P.E., LEED AP, started Group14 Engineering in 1992. She has over 25 years of experience in building energy engineering, and is recognized as a national expert in building energy modeling. She has worked on a broad portfolio of building types including residential and multifamily buildings. Her work has also entailed research on fenestration, including skylights, and their impact on residential and commercial energy performance. 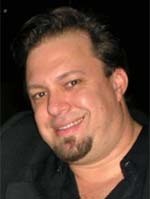 Ken Riead is the owner/manager of Doff Industries and primary developer of DesignCharrette.com and the EGMConnect3D.com virtual online tradeshows. 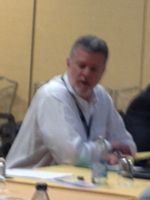 He is currently on the BIM-R committee of the American Institute of Building Design (AIBD). Ken Riead has been well known in the fields of energy conservation, renewable energy and environmental practices for over 30 years. His focus has been on promoting education for both consumers and professionals. During his tenure on the board of the Colorado Thermal Insulation Association, Ken helped write the first set of energy codes for Denver, which were later enacted into law. 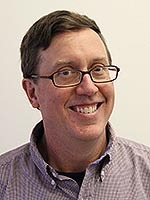 He also served on the board of the Denver Solar Energy Association. While at DSEA he helped organize the first Denver Passive Solar Home tour, which eventually evolved into the National Sustainable Homes Tour. 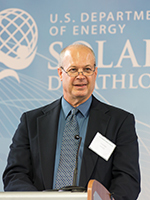 Ken Riead worked in the late 1970s and early 1980s as the Director of the Denver Energy Conservation Laboratory and taught energy conservation courses at the Red Rocks Solar program, which at that time was the largest solar program in the United States with over 500 students. He has worked or consulted for several energy utilities, including Intermountain Rural Electric Association, the City of Independence, Missouri Power & Light and the Kansas City Board of Public Utilities. 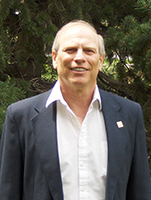 Ken is the recipient of many energy and environmental awards and recognitions. 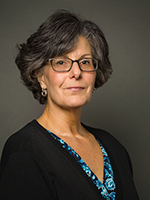 Sharla Riead provides training, certification programs, and quality assurance oversight for national energy efficiency and green building programs. She has been in the field since 1979 and is a recognized leader in the fields of renewable energy, sustainable technology, energy efficiency and green construction. Ms. Riead runs a RESNET accredited Training and QA Rating Providership as well as a USGBC LEED for Homes Providership and RESNET Contractor Education and Qualification (CEQ) Providership. As a Building Scientist, she consults with builders, trades, code officials, energy professionals and program sponsors with an emphasis on energy efficiency, building durability and occupant health and safety. As a Certified Home Energy Rater and NGBS Green Verifier, Ms. Riead works closely with builders, architects and home buyers to ensure their green goals are met. Sharla has been working for close to a decade participating in software development, workforce guidelines creation, curriculum writing, job skills and competencies creation, pilot studies, and business modeling to crack the nut of the $200 billion dollar residential deep energy retrofit market. Sharla Riead is committed to integrity, impartiality, and the best building science can offer. 2012 graduate of Indiana University. I began working as a carpenter and independent contractor renovating foreclosed homes after college. As a carpenter I was fortunate to pick up several different skills in a short time (everything from framing, painting, landscaping, to insulation.) I began working with Knauf Insulation in 2013 as a field trainer, where I have been using my experience to help train builders and contractors on home performance. Since joining Knauf I have become certified as a RESNET field rater and trainer for all of Knauf’s systems partners. Knauf’s outlook on sustainability and improving energy performance with proper building science continues to be a great fit for me, and I am excited to be in the position to help further the knowledge of HPIP contractors. 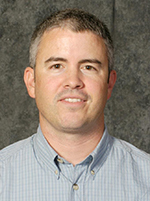 Todd Sims serves as the National Association of State Energy’s Manager of Building Energy Program. In this capacity, Mr. Sims provides leadership to the 56 governor-designated state and territory energy offices on a variety of building energy policies and programs including, building energy codes, residential labeling and retrofits, ENERGY STAR, benchmarking, and countless others. 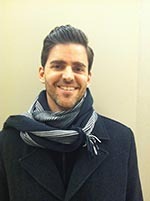 Prior joining NASEO, Todd was a Program Associate with the Institute for Market Transformation. While there, he was instrumental in the passage of RE-188 which included the ERI Path in the 2015 IECC. He is from Birmingham, Alabama and graduated from the University of Alabama Birmingham with a degree in Political Science. 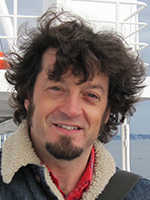 Brett C. Singer, Ph.D., is a Staff Scientist and the Indoor Environment Group Leader in the Energy Analysis and Environmental Impacts Division and a Principal Investigator in the Whole Building Systems Department at Lawrence Berkeley National Laboratory (LBNL). 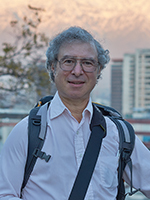 Dr. Singer conceives and leads research projects related to air pollutant sources, physical-chemical processes, and pollutant exposures in both outdoor and indoor environments, aiming to understand these systems for the purpose of developing effective control strategies. The recent focus of Dr. Singer’s work has been indoor environmental quality and risk reduction in high performance homes. This work has the goal of accelerating adoption of IAQ, comfort, durability, sustainability, and resilience measures into new home construction and retrofit practices. Key focus areas of this work are low-energy systems for filtration, smart ventilation and mitigation approaches to indoor pollutant sources including cooking. 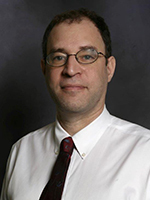 Dr. Singer co-developed the population impact assessment modeling framework (PIAMF). 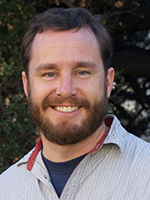 He holds a Ph.D. in Civil & Environmental Engineering from the University of California, Berkeley. Brad is the Energy Code Compliance Specialist working with Fort Collins Utilities and the Fort Collins Building Department. He has many years of experience in the energy services sector as a residential HERS Rater for new construction and home efficiency audits on existing homes. Along with his RESNET HERS Rater certification he holds certifications as ICC Residential Energy Inspector & Plans Examiner, Energy Star certified Rater, and has extensive training and experience as a BPI Building Analyst, TYVEK Certified WRB Installer/Warranty Certification and City of Fort Collins HVAC System Performance testing. 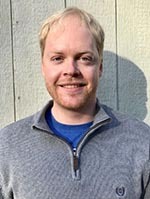 An integral member of the SkyeTec team since 2009, Tommy Spain has held the positions of Wind Mitigation Assistant Program Manager, Field Inspector for Weatherization Program, and is now the Field Manager and QA Designee of SkyeTec’s Energy Inspection Services. Tommy is a Nationally-Certified RESNET Home Energy Rater, and a Certified Quality Assurance Designee. In the Weatherization program Tommy ensured proper installation of energy saving measures. Tommy is a registered Quality Assurance Designee and helped SkyeTec become a provider. Tommy uses his knowledge of energy improvements to help educate building professionals on what they can do to lower the energy bills of their customers. 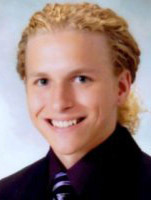 Tommy is a graduate of The University of North Florida with a Bachelor’s of Science degree. With over twenty years of professional experience in the housing sector, Pasquale has been dedicated to High Performance Building since 2005. As a building performance consultant and Energy Rater, he has worked on over 1,500 homes including both single and multi-family projects. A growing portion of his projects now consist of Zero Energy Buildings with more than 40 homes certified for the DOE Zero Energy Ready Homes program and two Zero Energy Multi-family buildings in development. 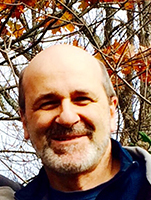 Pasquale is the President and founder of Integral building & Design and also serves as an instructor of building science at SUNY Ulster Community College in the Hudson Valley of New York State. 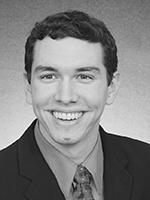 Daniel Tempas is a graduate of the University of Illinois with a degree in Chemical Engineering and a minor in Nuclear Engineering. 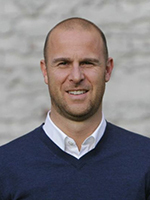 He is currently a HERS Rater and sits on the RESNET Training Committee. 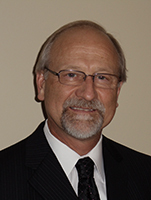 He has worked for The Dow Chemical Company in the various research, product development, and service capacities in the Building Solution's Business for 31 years and is currently a Building Scientist. Tempas also worked in Dow's Computer Research group where he handled 3D computer graphics, digital video and computer based training. He is LEED Green Associate and has also been a member of ASTM, EIMA and BTECC. 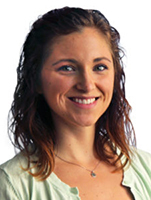 Hillary Tipton is an Analyst at ICF who provides partner engagement and technical support for the EPA’s ENERGY STAR Certified Homes, Seal and Insulate, and Indoor airPLUS programs. 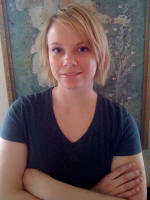 She has more than five years of experience in residential energy efficiency, data analysis, and environmental policy. As a certified Building Analyst, she has conducted diagnostic testing on hundreds of homes, while also developing energy efficiency marketing campaigns and training new hires for home improvement contractors. Hillary earned her Bachelor’s degree in Environmental Studies and Spanish from Oberlin College. In her spare time, she enjoys fossil hunting, bicycling, and long-distance running. David Treleven holds a B.A. in biology and an M.S. in building construction with a concentration in sustainable construction. He has worked in the construction field as a laborer, construction manager, HVAC designer, rater and building science consultant. Treleven is currently investigating low-load home HVAC systems, simplified builder-friendly solutions to high performance envelopes, and moisture issues in small footprint homes in mixed-humid climates. 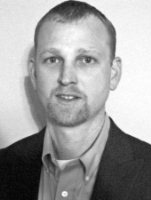 Director, Energy Services, Burgess Construction Consultants, Inc.
Chris Urbanus has been in the Home Energy Rating industry for nearly 7 years. His career began as a Rater-in-training at Burgess Construction Consultants, a 3rd party quality and HERS rating company based out of Dallas, TX. The first year was spent predominantly in the field performing RFI and Rater duties for some of the largest volume homebuilders in the industry. For the next 4 years, Chris served as a HERS Rater/Plans examiner in Burgess’ corporate office, where he reviewed thousands of plans for both energy code and above code program compliance. 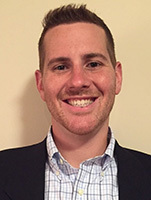 He has worked closely with both custom and large volume builders to implement cost-effective and marketable strategies for code compliance and beyond. Chris has transitioned into the Director role for the entire Burgess Energy Services operation where he has served for 2 years. 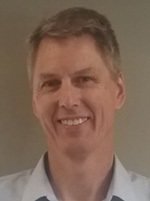 Senior Building Systems Engineer, Steven Winter Associates, Inc.
Dennis is the Vice President of Operations for Fulton Homes where he oversees Sales, Marketing, Operations, and the Fulton Homes Design Center. In his 20 years there he has led the charge of using technology combined with past retail experience to help transform the company into one of the most advanced homebuilders in the country in the areas of customer experience, operations, and marketing. He has also been instrumental in moving Fulton Homes towards energy efficiency as Fulton Homes was the first builder in the country to have built all of its homes to Energy Star version 3 standards. Fulton Homes has been recognized as Energy Star’s Partner of the Year and Indoor airPLUS leader award winners each of the past two years, the only builder in the country to do so. Prior to joining Fulton Homes, he was Vice President of Stores for Eagleson’s a men’s clothing retailer owned by Ira Fulton, who sold the business to concentrate on homebuilding. Before Eaglesons, Dennis had a 20 year retail career with Hart, Schaffner and Marx, where he held increasingly responsible positions of Salesman, Store Manager, Buyer, Merchandise Manager, General Manager, and Store President. Dennis graduated from Chapman University in Orange, CA, and currently resides with his wife Janis of over 35 years, in Tempe, AZ. His daughter Laura is the Executive Director of a non-profit organization in Los Angeles, and son Darin is a lawyer in Los Angeles. 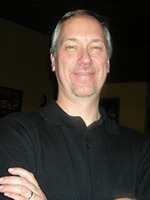 Ted Winslow is the Brand Product Manager of Building Science, Systems and Technical Marketing for CertainTeed Insulation. He has been involved in the building industry for close to 10 years with various residential and commercial product manufacturers. Ted strives to understand all aspects of building physics and works to develop products, systems and solutions tailored towards the needs of today’s building professionals through continuous engagement with a variety of trade organizations and by providing training for the building industry. He received a BS in Mechanical Engineering at Temple University. 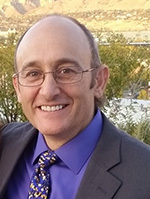 Gary Wollin has taught efficient building techniques and coordinated commercial, industrial, and residential construction projects nationally and internationally for over 20 years. Currently the Wollin Group is supporting California Utilities training objectives across the state focusing on Building Energy Science, HVAC Sciences, air flow and refrigeration verification HVAC Load calculations and Dry Climate equipment selection, Other concerns have been developing an realistic training platform that assists students transitioning theory into hands-on practice which led to the development of the MI-BEST unit. 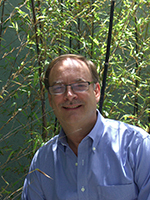 Gary has been involved with the California Energy Code and the HERS program since 2002. 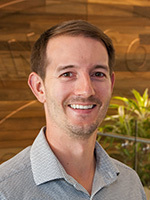 He is presently a partner at Wollin Group, and shares the teaching of various aspects of the California Energy Code, HVAC Sizing and Building Energy Science throughout the State. 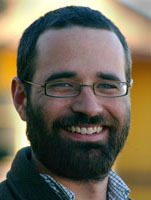 He was one of the lead instructors for CHEERS 2005 – 2012. And the primary developer of the MI-BEST (Mobile Integrated Building Energy Science) Training unit. He brings to each course a balanced overall background of construction that embodies energy efficiency, sustainability, and the energy code. He has a relaxed style that involves his audience and promotes easy comprehension of the topic. Amber Wood, P.E. has over 15 years of building energy modeling, sustainability, codes and standards, construction, and research and development experience. As Senior Manager of REM/Rate at NORESCO, she leads the REM/Rate team, creates a development vision, assists with testing, and provides building science support. In addition, she authored multiple research reports and guides for designers/builders as well as presented the research findings. 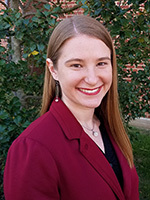 Although Amber's primary focus is energy efficiency, she has also been involved in green building as a member of the Energy Task Group of the ICC/ASHRAE 700-2015 National Green Building StandardTM ANSI development process. Amber also serves on the RESNET Water Efficiency Rating (WER) Index Modeling and Development of Reference Home Subcommittee. 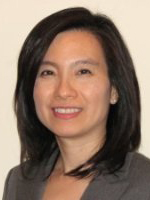 Michelle Yuan is a member of ICF’s Commercial Energy team and supports utility sponsored demand side management programs in the residential new construction market. She provides program support to builders and raters as the account manager for the Baltimore Gas & Electric Company, Delmarva Power and Light, Potomac Electric Power Company, Potomac Edison Power, and Southern Maryland Electric Cooperative’s ENERGY STAR New Homes Programs, and provides program management support to utility clients. 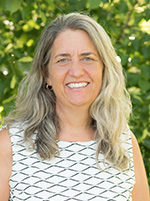 She holds a Master of Environmental from Duke University’s Nicholas School of the Environment and received her B.A in Government and Environmental Policy from the College of William and Mary. In her spare time, she is an avid traveler and practices Brazilian Jiu-Jitsu.